Geez, I thought I planted those pumpkin seeds at the right time. I think this is the only one we’ll get this year. At least it’s cute. 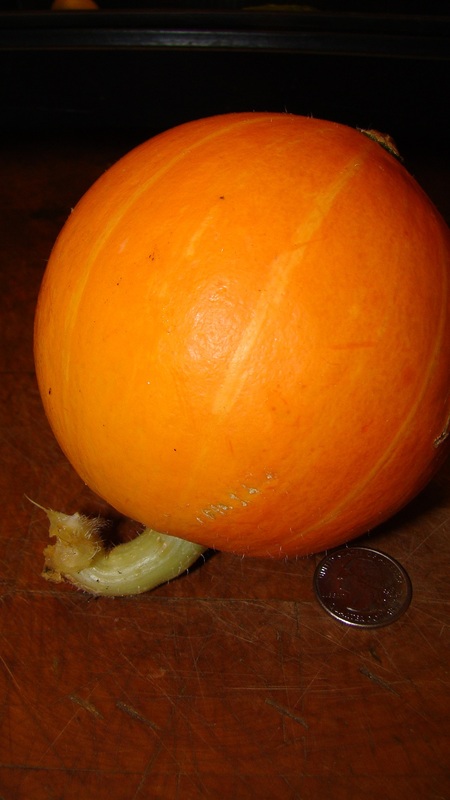 My annual gardening objective is to grow a pumpkin for Halloween. Just one, I’m not greedy. We normally don’t even get one so there’s that. It’s in a dark corner of our spare refrigerator… hope it lasts! Put it in the fair!